Like a lot of Nashvillians, we’re big fans of the art of craft beer — big, creative flavors made by small, local breweries in particular. 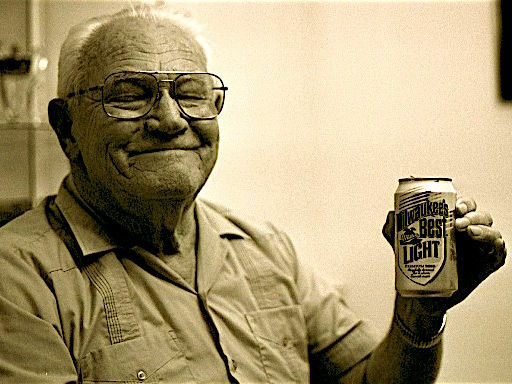 But sometimes it’s good to hark back to simpler times, too, to the easy-drinking beer that your Granddad cracked open on the porch. That’s the idea behind the inaugural Yesterbeer Festival, a celebration coming up this Saturday, Nov. 12, that offers a night of paying homage to those classic, uncomplicated brews in a setting that befits them. The party starts at 1 p.m. at the American Legion Post 82 in Inglewood (3204 Gallatin Pike), and you’ll be invited to toss back a mix of the tried-and-true standards, from Old Style, Old Tankard and Old Milwaukee to PBR and Narragansett Brewing Company. To help complement the hops/barley and such, a bunch of food trucks will be on hand and classic pub games will be played. We feel pretty confident that it’ll be a fantastic hang, too, since it’s being organized by the same folks who run the annual Thirth of July block party. Inarguably the best part about the whole thing: Proceeds from the fest will go to benefit American Legion programs that support American heroes, our veterans. Tickets are $30, available online through Wannado, and the festivities run from 1 until 6 p.m.
For more on the fest, head to www.yesterbeerfest.com. If you’re about to start house-hunting in Nashville, we think this fest is the perfect excuse to explore Inglewood, a part of East Nashville that, like the rest of the neighborhood, just keeps getting more fun. If you need help seeing what’s out there, let us know — we’d love to help you find your dream home!